Artistic Director of Forced Entertainment Tim Etchells will give an illustrated talk about his work with the company over a twenty-one year period. With particular emphasis on the use of text, its relation to action and to the idea of landscape both on stage and in the world, Etchells will discuss urban site-specific projects such as Nights In This City, recent theatre performances such as The Travels, Bloody Mess and his own autobiographical solo Words & Pictures, as well as giving an overview of the processes and approaches used by the group in creating new performances. 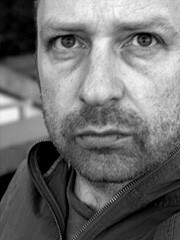 Tim Etchells is currently a Creative Fellow in the Performing Arts (AHRC) in the Lancaster Institute for the Contemporary Arts.